There’s no time like the present, but what the future holds is definitely something you’ll want to see as frequent. We’ve been invited once again to the Taipei Smart City & Summit Expo for this year, where we were given a clear view of the latest advancements in innovative Artificial Intelligence, Medical Sectors, Industrial and Educational applications, and more that’s set to transform today’s technology. From March 26th to March 29th, the Taipei Smart City Summit & Expo 2019 filled Nangang Exhibition Hall brought over 300 technology companies, some 50 Artificial Intelligence firms, 337 exhibitors, and over 1,250 booths to shine more light on the digital advancements on the forefront of the modern world. If last year revolved around the theme of Building Smart Cities on the IoT, 2019 is a highlight of Artificial Intelligence and its innovative applications. You’re not alone if you think AVer’s name sounds familiar. The company behind those nifty capture cards to help you capture your games and stream them on your favorite streaming platform is also heavily invested on creating an entirely new video creation experience that’s perfectly suited for capturing and streaming in educational, business, medical, or parliamentary environments with AVer PTZ cameras that ensure superior video stability with leading pinpoint accuracy and advanced targeting technologies with efficiency. During the Taipei Smart City & Summit Expo 2019, AVer showcased its professional cameras used in an educational setting, smart tracking subjects to help keep them in focus during discussions. AVer’s topdown camera also streams content to help in instructional videos. Perfect for kids and anyone interested to learn about the art of building with technology, the Webduino Bit makes its appearance on the Taipei Smart City Summit & Expo 2019. We’ve had our run on the demonstrations on the showfloor, where you can also have your run through its simple connection method and control through a QR code and the browser. No apps required. STEAM (Science Technology Engineering Art Math) Education offers an enriched and fun learning experience for everyone with its robots that are compatible with micro:bit to make them more interactive. With these products, kids will be able to learn the knowledge of programming interface in a graphical interface, making learning programming more fun and engaging than it is on a conventional setting. The DESC, short for Digital Elite Study Cube, is a fully immersive digital education service complete with modern tools from audio equipment to touch devices to provide first-class education to students in remote areas. In the subject of modernizing health care, the MyGuardian Smart Care System offers an “invisible” assistant for better care. Equipping a centralized management of beds with real time status update, health care providers will be alerted of the events with patients as they come. From critical events to preventable human mistakes, it can accurately provide alerts through multiple levels of analysis. Its application can definitely assist care giving establishments, hospitals, and the like, even moreso locations with limited resources. In modernizing solutions, displays will also be integrated with new innovations. Avalue’s E-ink solution is definitely one that fits a smart city. It’s extremely thin and light high-contrast display that can last up to three weeks on a single charge. As an E-Note, it makes for a convenient tool for writing, highlighting, and erasing as well. As a bedside card, it gives a detailed info on a patient, status update, and mobility. Aside from trains and buses, we've seen scooters as one of the primary means of transport in Taipei. With that said, scooters that run on conventional gasoline would largely contribute to the overall pollution in the country. KYMCO's E-scooters would take that load off the environment through the help of renewable energy, all while looking cool while you travel. 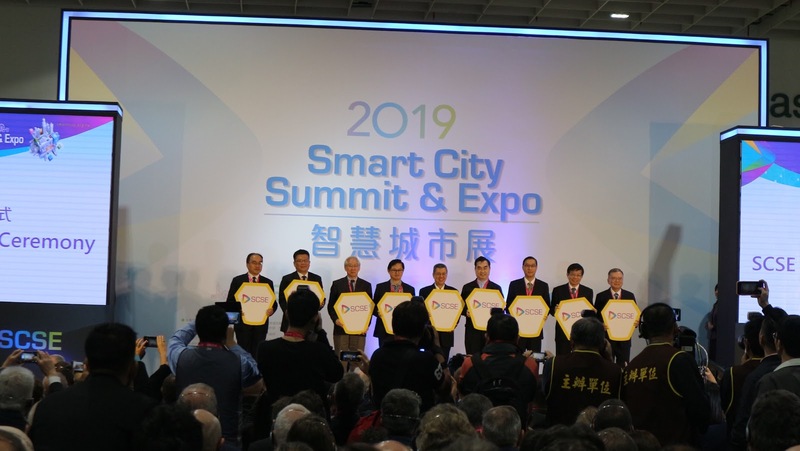 We've barely scratched the surface - the Taipei Smart City Summit & Expo 2019 showcased a whole lot of ingenious innovations present and new that can change the landscape of today. The future is definitely looking bright.